FCEF Supports over 250 students in our community who are in need of additional supports such as language, academic, and basic needs such as food, clothing and school supplies. Please consider a donation to our "Family Assistance Fund" which is used by our FCCPS social workers to provide help to ensure our students are ready to learn every day they attend school. Our goal is $15,000/year in support. Click "Donate Now" in the bottom right corner of this page. Our LIEP (Language Instruction Education Program) Team works extremely hard to integrate our students who are new to the English Language through direct academic and social instruction, as well as after school opportunities. There is no better example of this than our TOPS (Tiger OPeration Success) after school program. 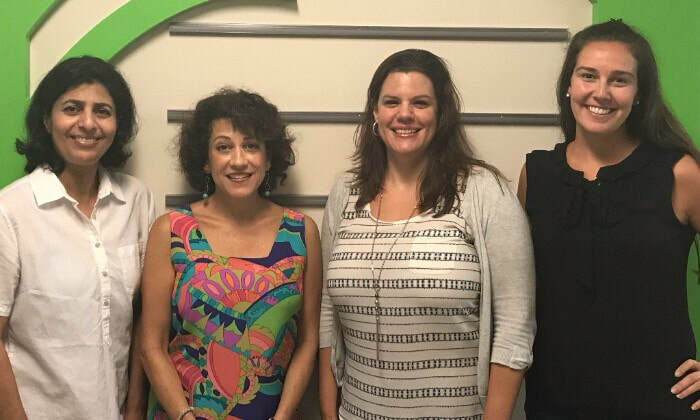 Kristine Miller (third from right) runs this program that works to strengthen reading, math, writing, and speaking skills in our English Learners. TOPS starts on January 8th and runs through April 26th.